Who should not take Dextroamphetamine-Amphetamine? What conditions does Dextroamphetamine-Amphetamine treat? Tell your doctor right away if you have any serious side effects, including: signs of blood flow problems in the fingers or toes (such as coldness, numbness, pain, or skin color changes), unusual wounds on the fingers or toes, mental/mood/behavior changes (such as agitation, aggression, mood swings, depression, abnormal thoughts, thoughts of suicide), uncontrolled movements, continuous chewing movements/teeth grinding, outbursts of words/sounds, change in sexual ability/desire, frequent/prolonged erections (in males). Get medical help right away if you have any very serious side effects, including: shortness of breath, chest/jaw/left arm pain, fainting, severe headache, fast/pounding/irregular heartbeat, seizures, swelling of the ankles/feet, extreme tiredness, blurred vision, weakness on one side of the body, slurred speech, confusion. List Dextroamphetamine-Amphetamine side effects by likelihood and severity. Before using this medication, tell your doctor or pharmacist your medical history, especially of: blood circulation problems (such as Raynaud's disease), certain mental/mood conditions (such as severe agitation, psychosis), personal/family history of mental/mood disorders (such as bipolar disorder, depression, psychotic disorder, suicidal thoughts), heart problems (including irregular heartbeat/rhythm, coronary artery disease, heart failure, cardiomyopathy, problems with the heart structure such as valve problems), family history of heart problems (such as sudden death/irregular heartbeat/rhythm), history of stroke, high blood pressure, overactive thyroid (hyperthyroidism), a certain eye problem (glaucoma), seizures, personal or family history of a substance use disorder (such as overuse of or addiction to drugs/alcohol), personal or family history of uncontrolled muscle movements (such as Tourette's syndrome), kidney disease, liver disease. 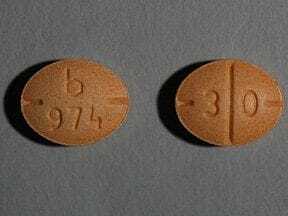 What should I know regarding pregnancy, nursing and administering Dextroamphetamine-Amphetamine to children or the elderly? Does Dextroamphetamine-Amphetamine interact with other medications? Should I avoid certain foods while taking Dextroamphetamine-Amphetamine? 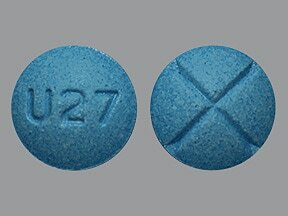 This medicine is a dark blue, round, double-scored, tablet imprinted with "E 84". 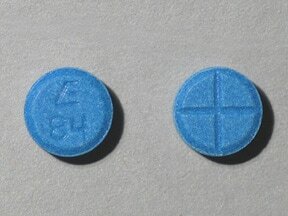 This medicine is a dark blue, round, double-scored, tablet imprinted with "E 111". 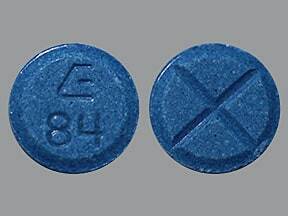 This medicine is a dark blue, round, double-scored, tablet imprinted with "logo and 84". 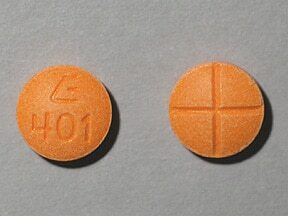 This medicine is a dark orange, round, double-scored, tablet imprinted with "logo and 401". 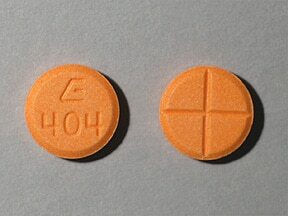 This medicine is a dark orange, round, double-scored, tablet imprinted with "logo and 404". 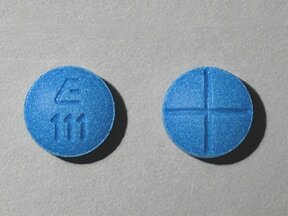 This medicine is a dark blue, round, double-scored, tablet imprinted with "logo and 111". 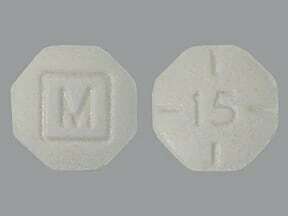 This medicine is a white, octagonal, partially scored, tablet imprinted with "M" and "15". 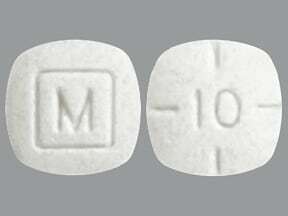 This medicine is a white, pillow, partially scored, tablet imprinted with "M" and "10". 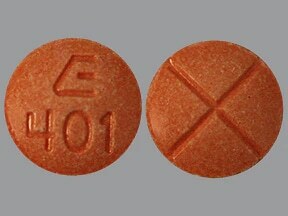 This medicine is a dark orange, round, double-scored, tablet imprinted with "E 401". 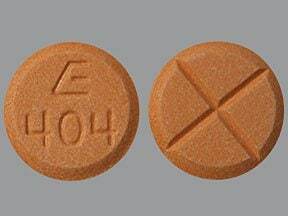 This medicine is a dark orange, round, double-scored, tablet imprinted with "E 404". 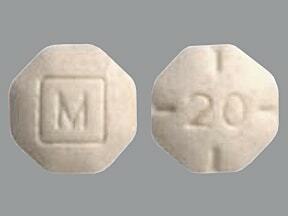 This medicine is a white, octagonal, partially scored, tablet imprinted with "M" and "20". 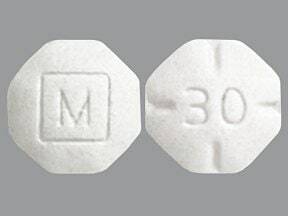 This medicine is a white, octagonal, partially scored, tablet imprinted with "M" and "30". 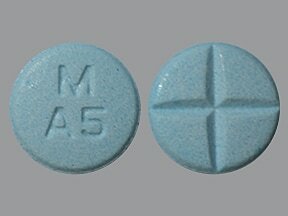 This medicine is a light blue, round, double-scored, tablet imprinted with "M A5". 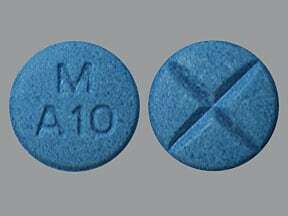 This medicine is a dark blue, round, double-scored, tablet imprinted with "M A10". 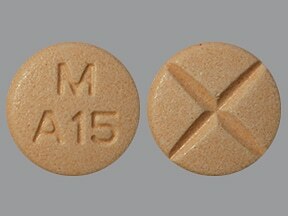 This medicine is a peach, round, double-scored, tablet imprinted with "M A15". 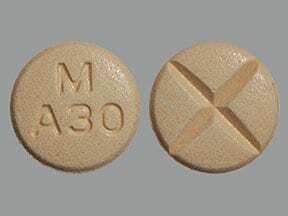 This medicine is a peach, round, double-scored, tablet imprinted with "M A30". 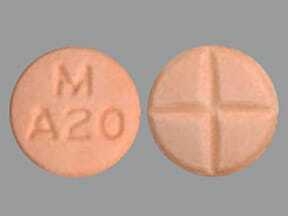 This medicine is a peach, round, double-scored, tablet imprinted with "M A20". 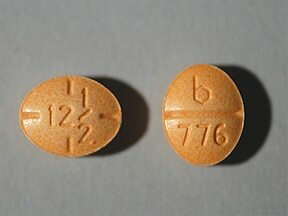 This medicine is a peach, oval, multi-scored, tablet imprinted with "b 776" and "12 1/2". This medicine is a peach, round, multi-scored, tablet imprinted with "b 777" and "1 5". 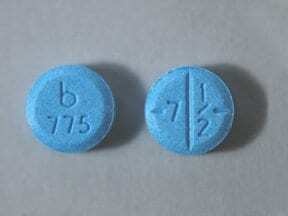 This medicine is a blue, round, multi-scored, tablet imprinted with "b 775" and "7 1/2". 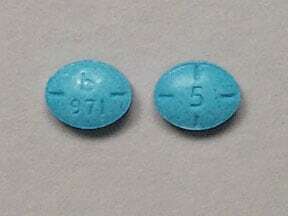 This medicine is a blue, oval, multi-scored, tablet imprinted with "b 971" and "5". 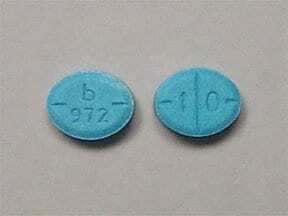 This medicine is a blue, oval, multi-scored, tablet imprinted with "b 972" and "1 0". 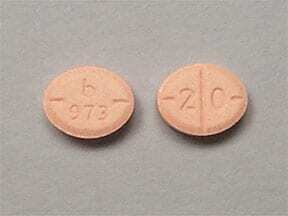 This medicine is a peach, oval, multi-scored, tablet imprinted with "b 973" and "2 0". 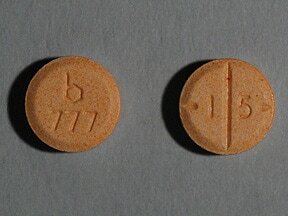 This medicine is a peach, oval, multi-scored, tablet imprinted with "b 974" and "3 0". This medicine is a light blue, round, multi-scored, tablet imprinted with "U27". 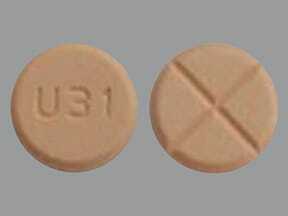 This medicine is a light orange, round, multi-scored, tablet imprinted with "U31". 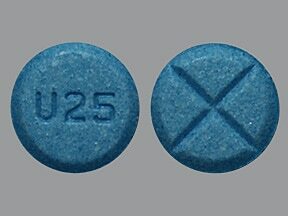 This medicine is a light blue, round, multi-scored, tablet imprinted with "U25". 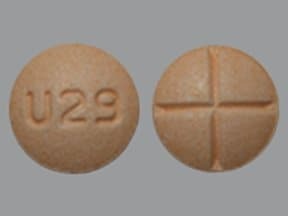 This medicine is a light orange, round, multi-scored, tablet imprinted with "U29". 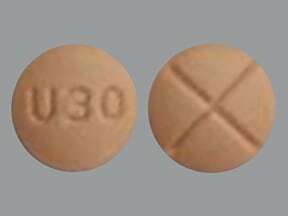 This medicine is a light orange, round, multi-scored, tablet imprinted with "U30". 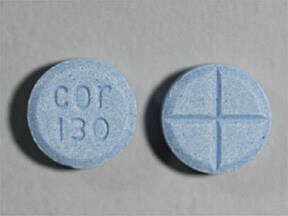 This medicine is a blue, round, double-scored, tablet imprinted with "cor 130". 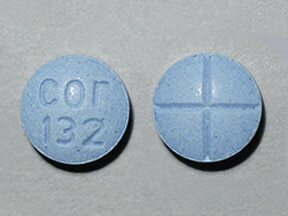 This medicine is a blue, round, double-scored, tablet imprinted with "cor 132". 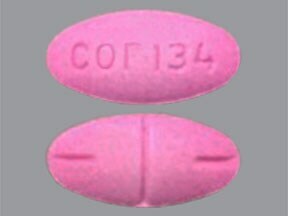 This medicine is a pink, oval, scored, tablet imprinted with "cor 134". 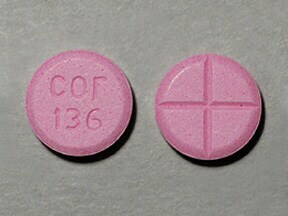 This medicine is a pink, round, double-scored, tablet imprinted with "cor 135". 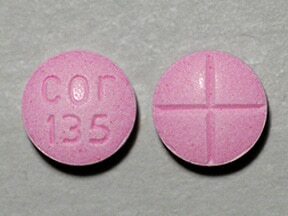 This medicine is a pink, round, double-scored, tablet imprinted with "cor 136". 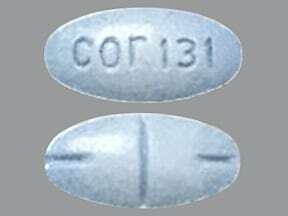 This medicine is a blue, oval, scored, tablet imprinted with "cor 131". 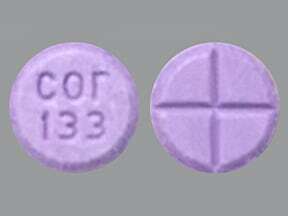 This medicine is a purple, round, double-scored, tablet imprinted with "cor 133". Are you considering switching to Dextroamphetamine-Amphetamine? How long have you been taking Dextroamphetamine-Amphetamine?